Great article. It is also important to find someone who has a lot of product knowledge. There are over 100,000 items to choose from. When choosing a promo company to work with make sure that the rep is someone who has a lot of knowledge about product as well as the creativity to find the best fit for your company. Great article and great blog, I will share this information with my clients. I often see companies using promotional products that are simply horrid. Thanks for the advice. Every marketing and trade show manager should read this very insightful article! It is DEAD ON! If anyone is looking for an outstanding promotional products vendor I have worked with a company called Branders.com(http://www.branders.com) for the past 4 years. Specifically my account manager, Sabrina, has always provided exceptional personalized service from idea sourcing, competitive quotes, and free samples. She always takes the time, no matter how long, to find the perfect promo item for my specific need and target market. I also have a vendor that I just love for promotional products! They also do our online store. I deal with Rocki Stillson at Sullivan’s. http://www.sullivangroupusa.com . She comes up with unique ideas that always save me money. I have customers calling to ask me where we got our last trade show gadget give away. Very nice. There’s another good article about using promotional products properly here: Smart Schwag. And if you want to see a bunch of great examples of promotions that worked, check out The Promo Know-how Zone, a blog of real-life case studies showing how promos and logo gifts can help achieve goals from branding to employee retention. In my experience, when budgets are tight, the right decisions regarding marketing shouldnâ€™t be about cutting funds or expanding funds, but it should be about focusing and fine tuning where the available funds are going. Direct marketing with appropriate promotional products has proven to draw more targeted sales leads and potential business than all traditional advertising. Many large Fortune 500 companies spend millions on â€œbrand marketingâ€, but when stock values and budgets are shrinking at alarming rates, perhaps it is time for those companies to shift their marketing monies to more niche markets and to use marketing tools that are more likely to generate a response. Now that the credit crunch has hit it, it is now more important than ever to compete for what little business is about. Alot of companies will cut their marketing budget when money is tight but this is a big mistake! Promotional products play an important part in gaining new business and reminding existing cutomers of your brand / service. So however tempting it is to sit back and let business find you, it is wise to be proactive and promote your company to gain new business. Very relevant post. Cheap and nasty just doesn’t cut it in the world of corporate gifts, point well taken! The nice thing is that one can really target decision makers with appropriate marketing material. Wow! What a fantastic article!!! My favorite tip is designing your promotional products properly, according to your message and brand. I think it’s important to find a product that matches your customers and their needs. Transparent post its are a great idea for this! Thanks for sharing these tips and looking forward to reading more. You have done good job by making survey on where people keep and use their promotional Item.Keep it up!!!!!!!!!!!! contact with the people you deal with, be it on a daily or other basis. Nice ideas for a well thought out Promotional Products blog. Planning is the key to any great advertising campaign. People are looking for more passive way to market their brand and Promotional Items fit like a glove with many companies, business and organisations. Crain & Craig (www.crain-craig.com) is the best company I’ve ever used for promotional products and I’ve been purchasing these types of goods for nearly 20 years. They’re based in Dallas, but they work with people all over the country. Excellent customer service and really fun outside-the-box ideas. “Direct marketing with appropriate promotional products has proven to draw more targeted sales leads and potential business than all traditional advertising.” this is the reason why businesses are now opting for promotional products and drawing more responses. This is a great article, but am surprised at the lack of mentioning higher end hand-outs. I recently attended a trade show in which one of the vendors was handing out USB drives with their logo and catalog on it. This was easily the busiest booth at the show! Now, granted people were probably more interested in the free gift, but you can imagine that the vendor will be branded WELL. Anywho, I checked it out for my own business (and, though it is significantly more expensive then a disposable pen (I hate those by the way), it is still pretty affordable. Check out this site for information :www.usbmemorydirect.com. You can also call my “guy” over there: 954-239-6918. I really liked this article. It was informative, insightful and well written. I read the article as well as scanned through the comments and I must say, I do agree that the article probably doe not talk about high end promotional items much. Of course if you can not afford these high end items, then your out of luck, but if you can you can make a HUGE impression on people. Think about it this way, which one are you more likely to throw out; a Pen or a USB Drive? Promotional items such as USBs are proving to have longer lasting appeal and greater brand exposure because people tend to throw them out much less. Speaking of custom promotional USBs, give the good people at http://www.premiumusb.com a call. They will be more than happy to help you with promotional USBs. Very useful article for teaching people about the industry. 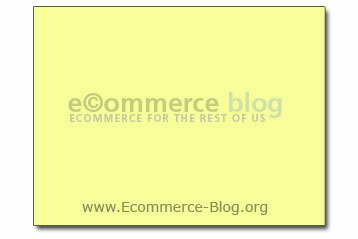 Perfect blog for promotional products and its use. I think this is a very nice post for the business people using the promotional products to promote their business. I personally like the statement “You want to provide the type of products that are better than what your customer is used to using.” This is the best idea to use the uncommon promotional products and to get success. As we know that pens and other type of promotional products are very common, there fore people will not give much attention on the regular products. So alway try some thing different. Other points are also very relevant. I think if you give something away that is relevant to your business and it reminds the customer of you it is very useful. eg computer repair shop giving away free mouse mats! If you are giving premiums to 100 potential clients. Say each client is worth, on average, $1,000 in gross profit per year. Say you estimate that you will convert 25% of your prospects with this promotion, or 25 new customers. You’re saying that you’re gaining $25,000 in the first year due to this promotion. I always like to see a 3:1 ROI when doing any kind of promotion, so I would cap the promotion at $8,333, thus making you $16,667 in the first year. Finding a quality promotional product to imprint with your logo isn’t easy – there is a lot of options that I would avoid. Great advice! I’ve purchased promo items for years now. The BEST company to work with to date has been DM Promotions. My salesperson, Dawn, always finds us the best giveaways/premiums etc. and almost always at the best price. http://www.dmpromotionsinc.com . These points sum up what many businesses fail to grasp when buying their promotional items. In most cases, they buy from a company that just sells promos rather than actually giving advice of what is successful. If the company doesn’t try to gain info about what you are using the giveaways for, then they are probably just trying to sell you a product and not try and offer any suggestions that might otherwise help your campaign more be more successful. I try to help each one of my customers get the best return on their investment when buying their promotional products. Very informative post jestep. There are a lot of misconceptions about promotional incentive programs and good thing you gave a refresher on how to appropriately execute them as some companies tend to think of them as mere giving out of freebies. Your article was very clear in telling us that the product should represent the company. It’s not about promotions budget but about the quality of the product. I speak to businesses in general. Come to think of it, even in promotional campaigns, everything is a Quality game. So in this day of tight business competition, companies should come up with a creative and quality promotional products that would make consumers come back for your brand. Promotional business gifts serve a dual purpose, they can generate better income for your business as a proven marketing tool. Anything free, especially when it is packaged attractively as a gift, will be highly appreciated by your potential clients. Secondly, imprinted corporate gifts can be used for internal branding. Great point on targeting. Promotional products become effective and economical because they only go to the people you want to target directly. I just wanted to add that whatever you do in your promotional product campaigns is that you don’t overdo it. I’ve seen campaigns which already annoy people just because they do not control their campaigns wisely. Quality is more important than quantity, this is something the entrepreneurs often miss looking at. I’d agree with much of the article, certainly we advocate that the design is a key feature. We have found that the design makes a difference as to whether the item is used or tucked away in a drawer. With desk pads and mouse mats etc sometimes less can be more and trying to fill the items with details of your products and services may well turn the user off. Similarly if you are on a budget try going for quality (and not be too free when giving them away) rather than quantity as the really cheap items could reflect badly on your clients perception of their value to you. From personal experience I can confirm that the promotional giveaways that always gets used is a giveaway that has some kind of customization about it. Like if you are going to give away coffee mugs, you can put the name of the person you will give it to on one side and your company logo in the other. The last thing we want is to use a cup that is not ours, and having a name in the mug solves that problem. This post provides insights into the points that should be considered while any corporate selects promotional products for their marketing strategy. Customers should be the prime consideration while selecting promotional giveaways. People always remember things they got for free! If you don’t track or measure your results, how can you tell if the promotion was a success. Does the item list a special URL or website? Does it have a QR code that can be scanned that takes the recipient to a specific URL? Is there a coupon or special offer on the item? Think about these ideas when selecting your next promotional item– and deal with a reputable distributor who can give you marketing advice–not just the lowest price on widgets. Thanks for this post and in fact this post is very informative.In fact the 3rd point is very vital and important I am totally agree with you.Proper design is very much important along with proper advertisement. Great article. Very informative. I agree with quality is better then quantity. Thank you for posting. Great Discussion going! I agree with the terms explained in this post, “First impression is always being a last impression”. If we want people to remember us, we need to provide them with the output that creates an impact on them. Giving pen is not enough to make them remember me (placing myself), but I need to give him (a person needs pen) the quality in it and the smoothness of writing that he is looking for. So yes, Quality does matters a lot rather then quantity. Excellent quote “getting promo products to everyone is going to loose money”. You have to wisely select your target and give them proper quality promo products. Awesome post. Thanks for sharing this valuable information. Another tip is to consider using products that are on trend. For example, jute and tote bags are very popular at the moment and likely to be retained if received as a giveaway. The association with a current trend can also highlight your business as being more in tune with customers. I agree with one of the comments made about customized USB flash drives, there’s less of a chance they’ll be tossed away. Novelty flash drives come in all shapes, sizes, and themes that can be more eye catching than your typical flash drive. Check out http://www.usbcanada.ca/ for some ideas.